ZisWorks is an electronics design company focusing on displays and PC gaming equipment. Here you can see all the cool stuff that we've been working on. Contact us or visit the shop for purchases. Complete 28" 1ms TN type 4k120Hz monitor. Edid management and redetection through user buttons. High-frequency PWM and pwm-free dimming modes. Strobing and scanning backlight modes for improved motion clarity. 100x100mm vesa mount pattern (no stand included). Check the FAQ for commonly asked and answered questions. Upgrade kit for SE39UY04 or bare V390DK1-LS1 panel. Upgrades an exisitng display with cutting-edge capabilities. Existing AC/DC supply may be reused. Entire kit mounts to the 200x200mm vesa mount pattern of the panel housing. 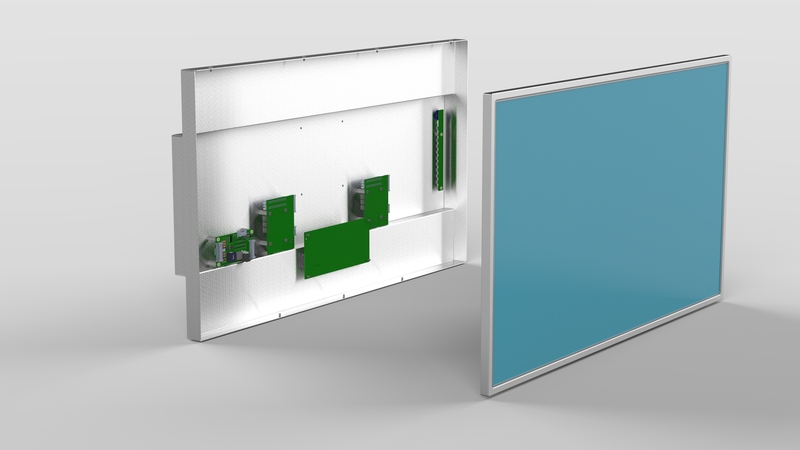 Mounting plate provides a 100x100mm vesa mount pattern(no stand included). 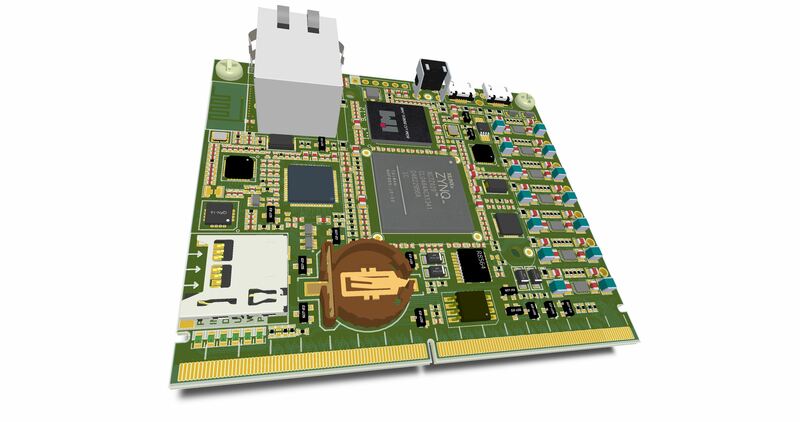 The zis7020 module is a dense system-on-board using the zynq 7020 fpga from Xilinx. 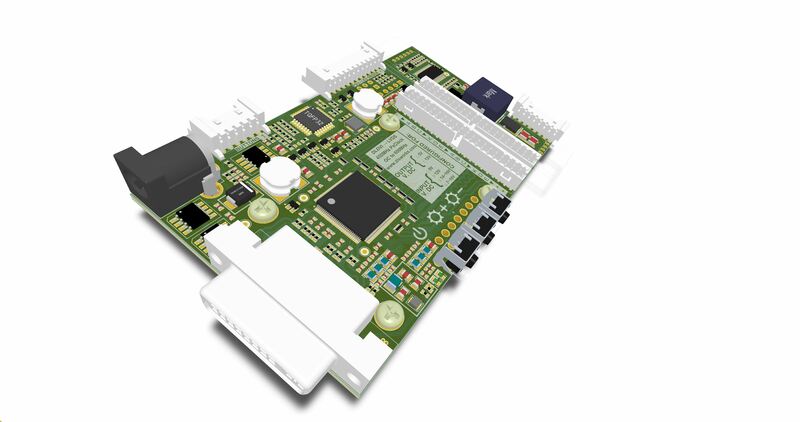 Usable as standalone board or module in a baseboard. All I/Os routed to the module are length-matched to within +/- 2mil including the fpga on-package delay. I/O bank power supplies track/match (within safe limits) two I/O pins for external I/O voltage setting. Mating connector low-cost, hand-solderable, and adequate for 4-layer baseboard use. Boots linux (Linaro distribution, essentially ARM version of Ubuntu) out of the box. Detailed 3D model and schematic available for customers. Design service offered for baseboards. Contact us with your requirements. Status: ON-HOLD. First prototype has been tested successfully, V2.0 (main change: add wifi) is on-hold. This board converts standard Displayport 1.2 interface signals to LVDS ones. 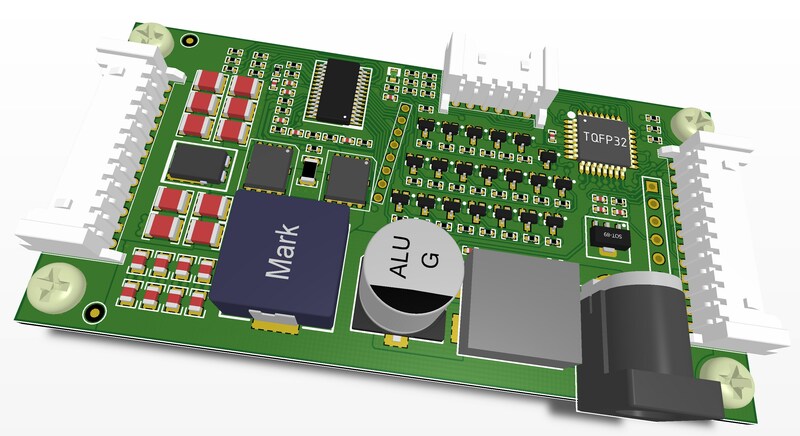 Usable as standalone LCD controller or as FPGA input module. Microcontroller handles EDIDs, power sequence, buttons, and backlight. Strobing mode supported for increased motion clarity. This board converts standard DVI interface signals to LVDS ones. Pin-compatibile with dp2lvds module (note: no 10bpc support). (note: maximum horizontal resolution is 2560px). 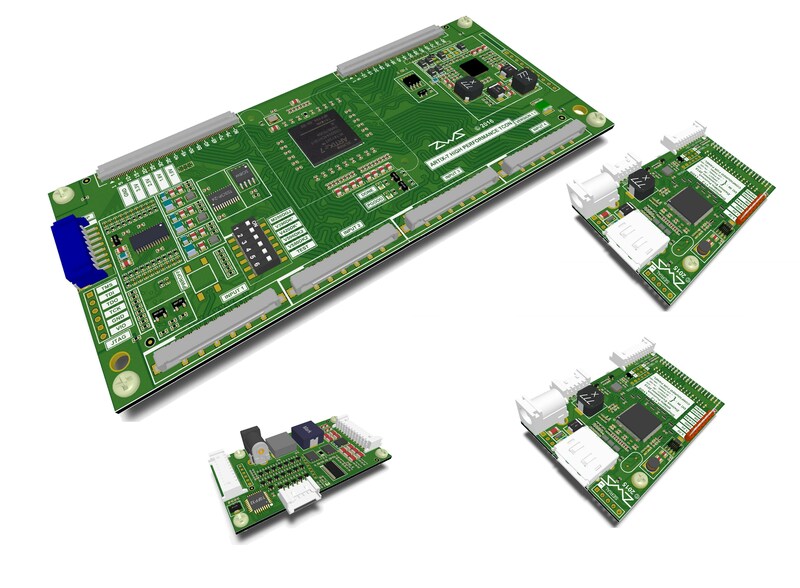 This board enables high-performance operation of M280DGJ and V390DK1 LCD panels. Automatic left/right frame realignment (within 3 lines). This board is a fully programmable backlight driver. Up to six strings output. Up to 350mA pulse per string. If you didn't find what was expected here, please contact ZWS. 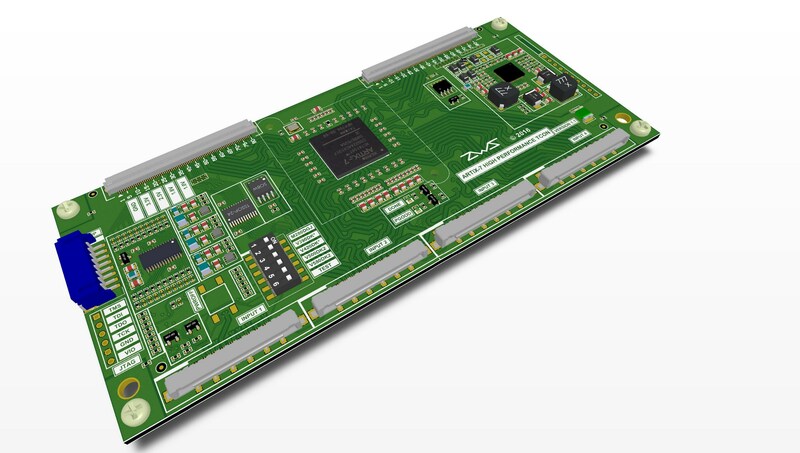 Adding DP2LVDS support for custom panels with dp2lvds interface modules is available. Contact us with your requirements for a quote. 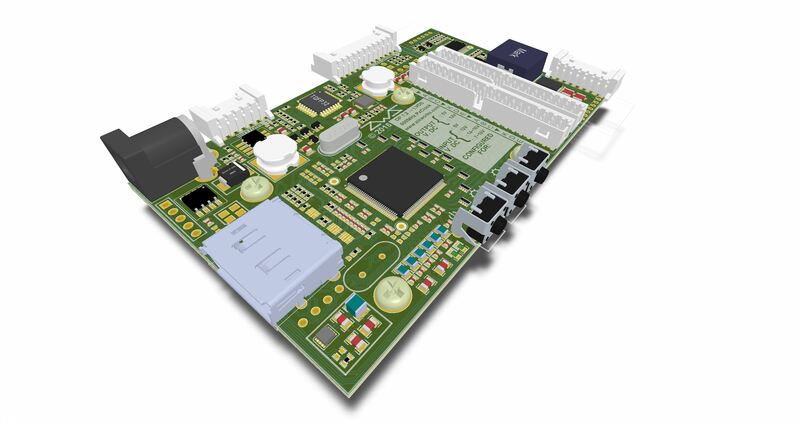 Board design service for zis7020 fpga modules is available. Contact us with your connectivity requirements and phyiscal constraints for a quote. Please contact for any orders or design service quotes. All inquiries will be read by a human being. Can this drive panel X? If panel X is M280DGJ or V390DK1-LS1 then yes, otherwise no. What is image quality like? Image quality in the fast modes is very minorly degraded, but still good overall. No, integer scaling is used, so the display is always sharp. Subpixel-aware rendering (truetype fonts) do not have the desired visual effect and should be disabled. Does 10bpc require lower refresh rates? No, 10bpc is supported without reducing refresh rates, including 4k120Hz. Are both DP inputs needed? Both DP inputs are needed for the 4k120Hz mode. 4k60, 1080p240, 720p300, and 540p480 all only require one DP input. What's the deal with chroma subsampling and display stream compression? Not really, the TCON is already pushing the limits of what the panel can handle. Check the panel datasheet. If it uses LVDS interface with 2 or 4 channels, then the answer is yes. Can ZWS provide cables for panel X? It depends. There are a few common pinouts, so if it is similar to cables that we already have in-stock, then yes. Otherwise, making custom cables is probably more expensive than it is worth. All support has been moved to the x28/x39 user group. I've been doing an ask-me-anything at reddit. The site has been updated with various improvements, with new product listings, renders, and descriptions. The store is now linked ot the main site and downloads section for documentation now exists. Despite the bare website and LTT video not yet being public, sales for the first day have been strong and totaled around $7400. Most interest has been in the 39" upgrade kits. In anticipation for the LTT and blurbusters reviews, the store has gone live. ZisWorks is a family design house of two CMU ECE/SCS masters graduates. We are passionate about displays, embedded design, gaming hardware, and algorithms. Our ambition is to design the best available gaming displays. Through the process of our product development, we are also creating and releasing useful building blocks for others designing embedded systems and prototypes. We hope that our building blocks will enable innovation in academia as well as be useful for prototyping purposes.